If you want to access MySQL Cloud Service using Zeppelin of Oracle Big Data Cloud Service Compute Edition (BDCSCE), you can use Spark DataFrames or Zeppelin interpreters. 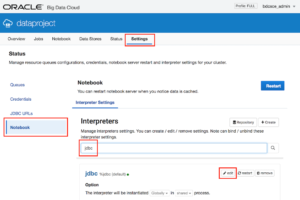 In this blog post, I’ll show how we can edit JDBC interpreter to connect MySQL Cloud Service. First login to Oracle Big Data Cloud console, and go to “settings” tab, and open “notebook” section. You’ll see the interpreter settings. 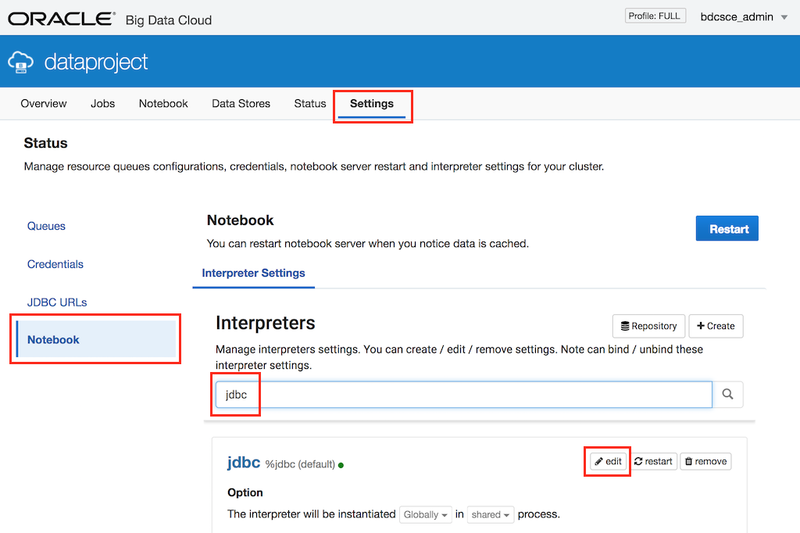 Search for “jdbc” and click “edit” button to edit the interpreter settings. Yesterday, I spoke at the Oracle Cloud Day Istanbul. It was an amazing event. The venue (Swissotel the Bosphorus) was great, the conference rooms were comfortable, the presentations were attractive and well-balanced (DB, Middleware, Development), and the audience was great. This year, the event was much more crowded than previous years. As usual, Oracle Turkey set a separate track for TROUG (Turkish Oracle User Group) presentations, and I was one of the speakers of TROUG. As TROUG, we appreciate Oracle Turkey’s support to us. Personally, I would like to thank them for this successful organisation. As I said, everything was great. This is another blog post about using Pandas package. This time, I’ll show you how to import table data from a web page. To be able to get table data, there should be a table defined with table tags (table,td,tr) in the web page we access. Unfortunately most web sites do not use “tables” anymore. They usually prefer to use “div” tags, so if this code doesn’t work, check HTML source code of the page. For testing purposes, I’ll try to fetch exchange rates from CNN Money International web site. There are two tables in the page, one for the exchange rates and one for the world markets. In my previous post, I showed how easy to import data from CSV, JSON, Excel files using Pandas package. Another popular format to exchange data is XML. Unfortunately Pandas package does not have a function to import data from XML so we need to use standard XML package and do some extra work to convert the data to Pandas DataFrames. As you can see, we need to read attribute of an XML tag (customer name), text value of sub elements (address/street), so although we will use a very simple method, it will show you how to parse even complex XML files using Python. Although I think that R is the language for Data Scientists, I still prefer Python to work with data. In this blog post, I will show you how easy to import data from CSV, JSON and Excel files using Pandas libary. 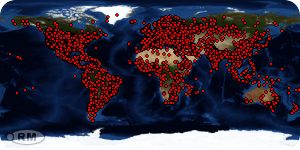 Pandas is a Python package designed for doing practical, real world data analysis.